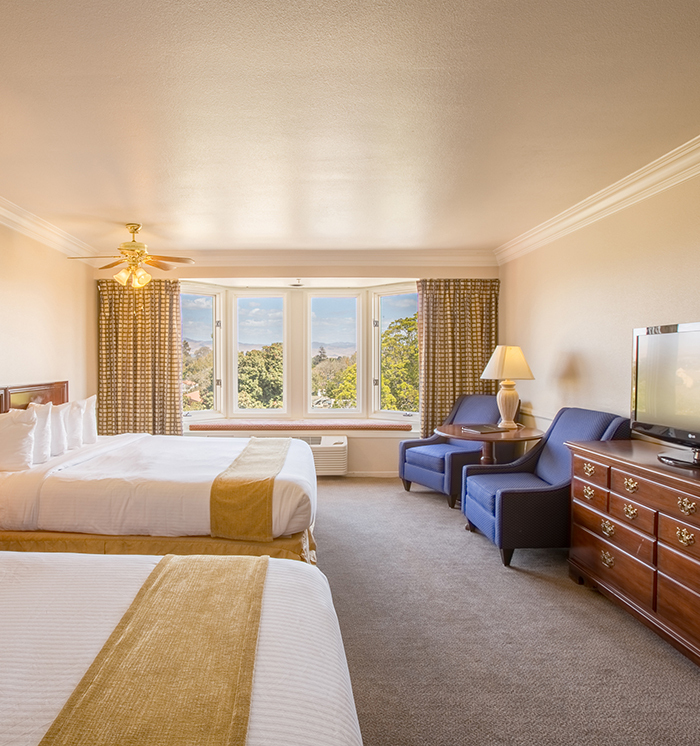 A registered historic landmark and celebrity retreat, the charming Santa Maria Inn offers 164 boutique guestrooms, including 18 luxury suites, some featuring fireplaces. From the quaint, cozy ambiance of the original Inn to the oversized guestrooms in the newer tower, the Santa Maria Inn blends the architectural grace and style of a bygone era with modern travel amenities, including complimentary wireless Internet, flat-screen televisions, and desks with dual-line phones. Discover your perfect stay in the wine country. The Master Suite offers approximately 300 square feet of gracious living space and an ambiance of historic charm. Perfect for a romantic getaway, these elegant suites feature a plush king bed, a living room, Jacuzzi tub and a furnished patio. Please contact the hotel directly for rates. With a delightful European charm, Historic Inn rooms are appointed with either one King Bed, One Queen Bed or Two Double Beds. 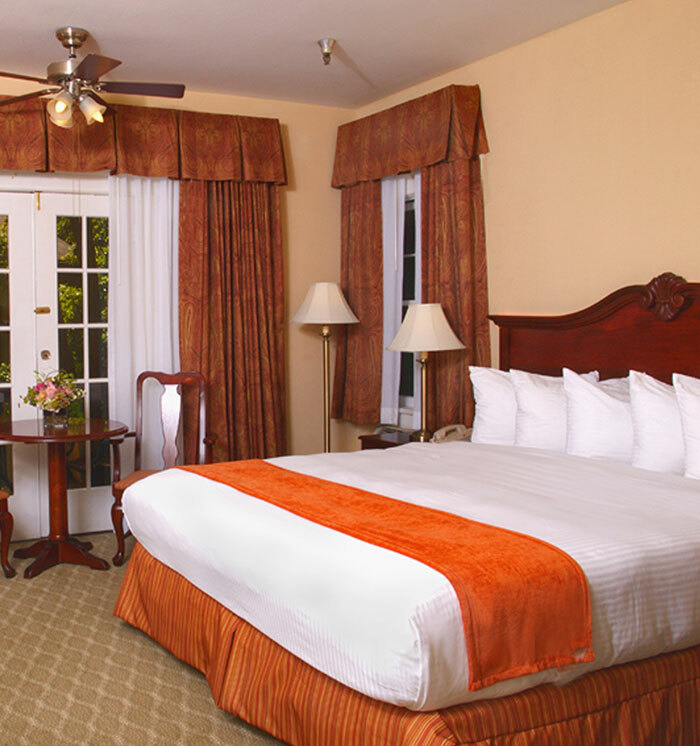 Enjoy modern amenities that include free Wi-Fi, refrigerators, hairdryers, and flat-screen TVs. This beautifully oversized executive corner suites in the newer tower section offer a luxurious layout with more than 500 square feet. 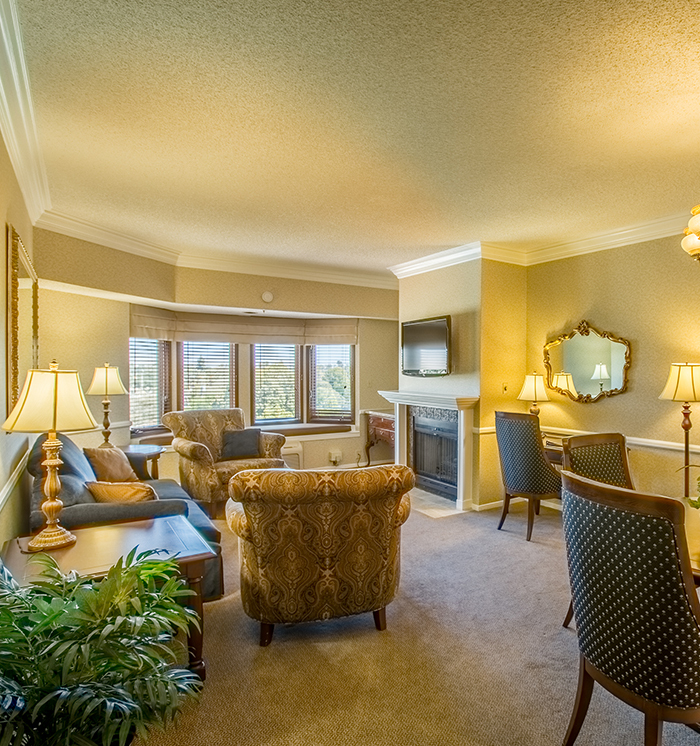 These suites feature two beds and an attached sitting room with a comfy loveseat, chairs and large bay windows. Appointed with attractive English country décor, these oversized executive rooms are situated in the newer tower of the hotel. 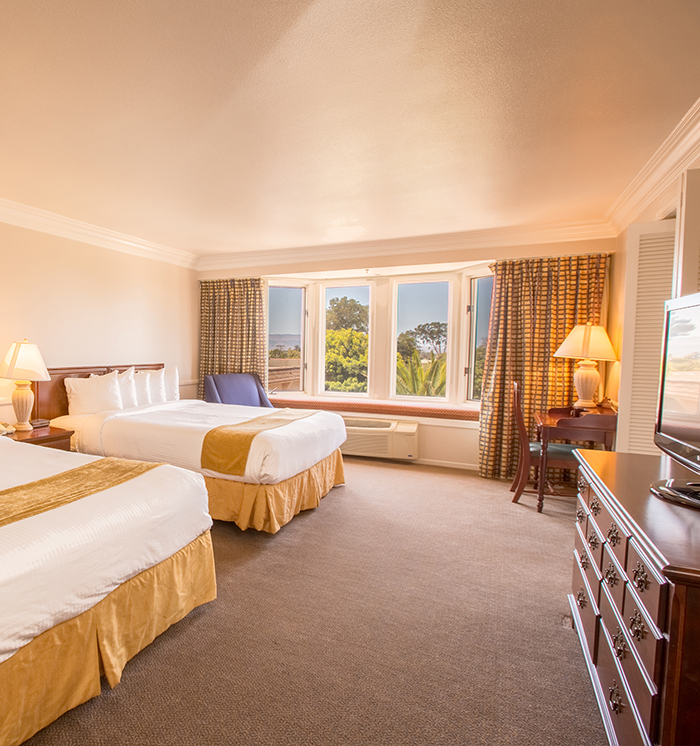 With about 400 square feet of space, these comfortable rooms feature one king or two queen beds, complimentary Wi-Fi, refrigerator, seating and generous work space. 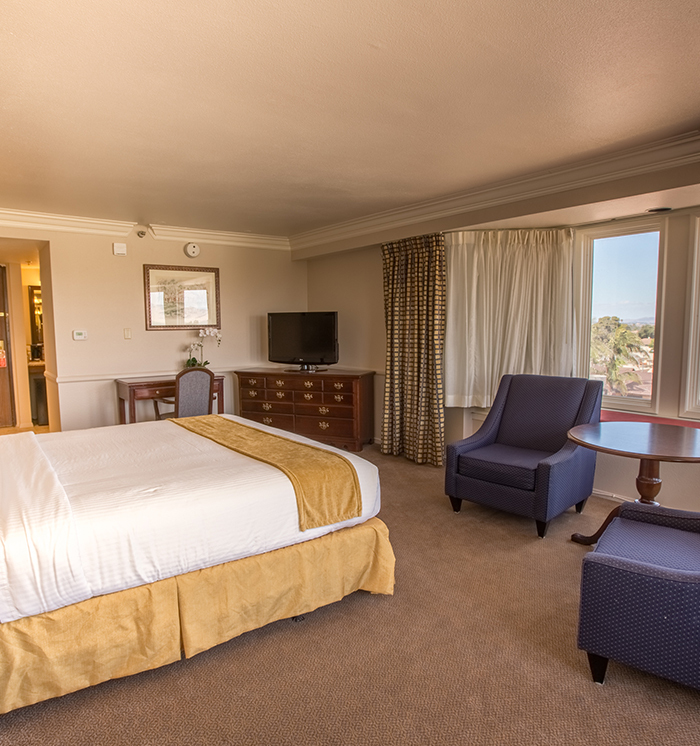 Our luxurious one-bedroom suites are situated on the top floor of the tower and provide 900 square feet of space with one king or two queen beds. Decorated in English country style, this impressive Santa Maria hotel suite offers a full kitchen with granite countertops, kitchenware and tableware, and a lovely living room with a loveseat and additional seating, a fireplace and bay windows.